I was in Broward County, Florida, this past week to present the Soil Moisture Active Passive (SMAP) citizen science project. Because it was an all-day thing, I booked a hotel for the night before so I wouldn’t have to get up at 0-dark-30 to drive down from Orlando. Because I was operating on someone else’s budget, I decided to go for the lowest rate feasible. That was probably my first mistake. Anyhow, I arrived at the resort, an “all-inclusive” place in the neighborhood of Fort Lauderdale. My father, a Florida resort aficionado, indicated that the place I’d selected “used to be quite a place,” so I went in with a somewhat hopeful attitude. The lobby was a bright green I’d not seen since the ’80s. The fixtures and furniture were similarly in need of updating. Whatever. I checked in, and the front desk host was reasonably helpful. That would be the last time I encountered a helpful, friendly person on the staff. 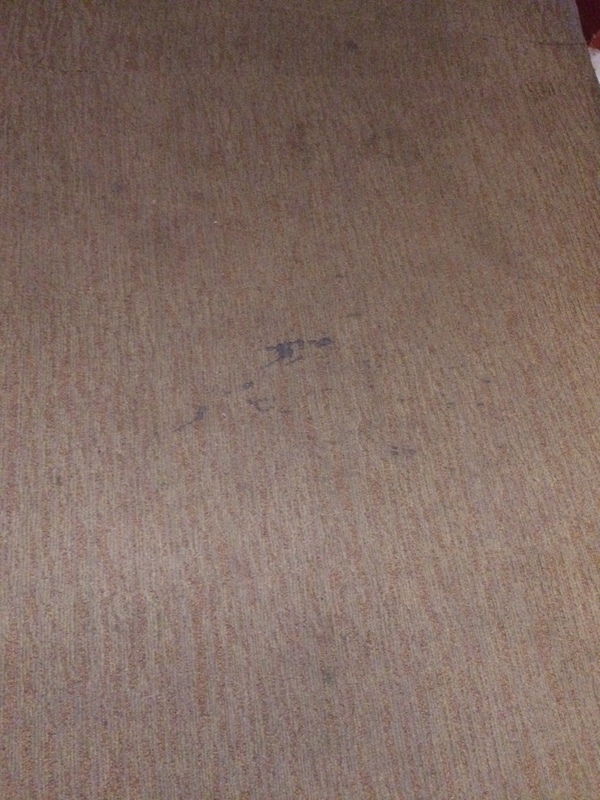 I knew I was in trouble when I saw and smelled the hallway carpet. Being a connoisseur of physical ailment-inducing psychedelic carpets, I almost missed such crazy patterns. Instead, I faced a faded gray-green stretch with stains. Then I got to my room. 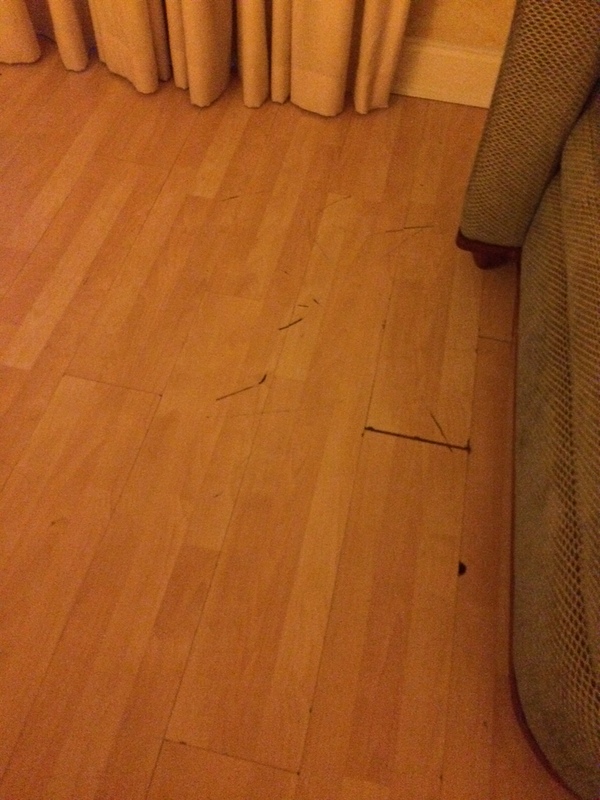 Instead of carpeting, I saw hard wood, scratched up, with gaps between several of the boards. I decided to head down to the hotel restaurant/saloon, which was empty except for a couple staff members. The most prominent feature of the restaurant–another place that hadn’t been seriously refurbished since the ’80s or ’90s–was the booming music overhead, which played hip hop (not my favorite) on a staticky channel. The young lady behind the bar wanted to know if I was interested in ordering anything. I said that I’d give it very serious thought if she’d change the radio station. She seemed to resent the request, tried to ignore it, then tried it. The volume went down, but the station didn’t change for a while. Then it did change to some other hip hop station, and the static remained. I rolled my eyes and checked out the menu and the collection of bottles behind the bar. The menu comprised bar snacks. I was congested, so I thought soup might do me some good. They had soup on the menu, but apparently the kitchen wasn’t up to the request. “We don’t have soup.” I wasn’t sure I trusted the cleanliness of the place enough to order food, anyway. The bottles behind the bar had makeshift caps on them. I ordered a bottled beer and settled onto a chair away from the bar. When the radio reception showed no signs of improving, I asked the bartender if she could turn up the sound on the big-screen TV, which was running a football game. The lady said to me, before an empty room, “That would disturb the other customers.” I ordered a second beer and left. Little things in the room started bothering me. 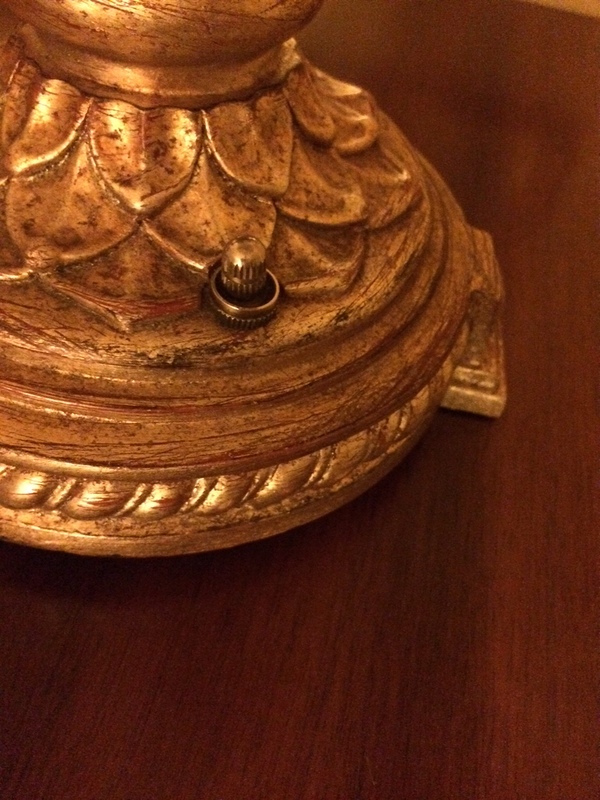 One of the table lamps didn’t work because the switch was broken. The front desk had a box behind the counter handy–as if they anticipated such a request? The TV was actually the newest thing in the room, which was a shame, because I might have watched the football game on it in lieu of watching it in the restaurant. Downside? 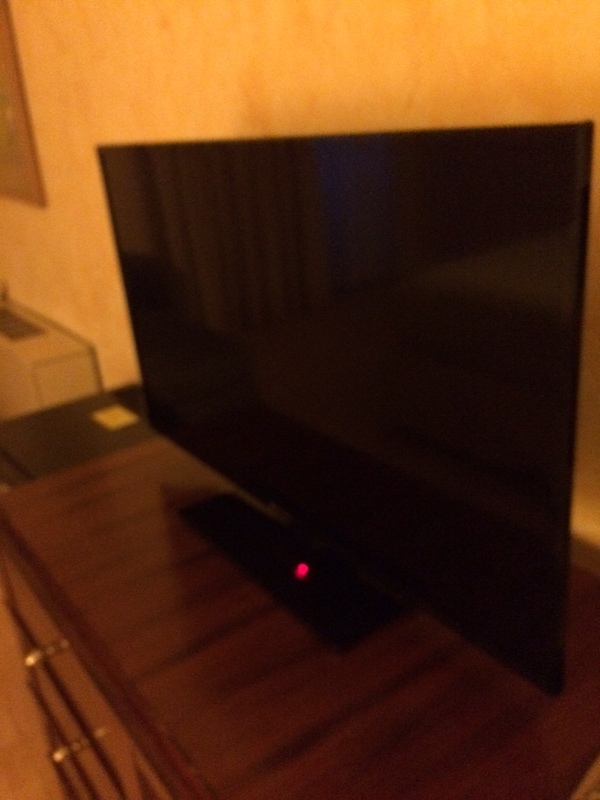 There was no TV remote in the room. The last disappointment struck at 6 a.m. the next morning, when I was taking a shower. 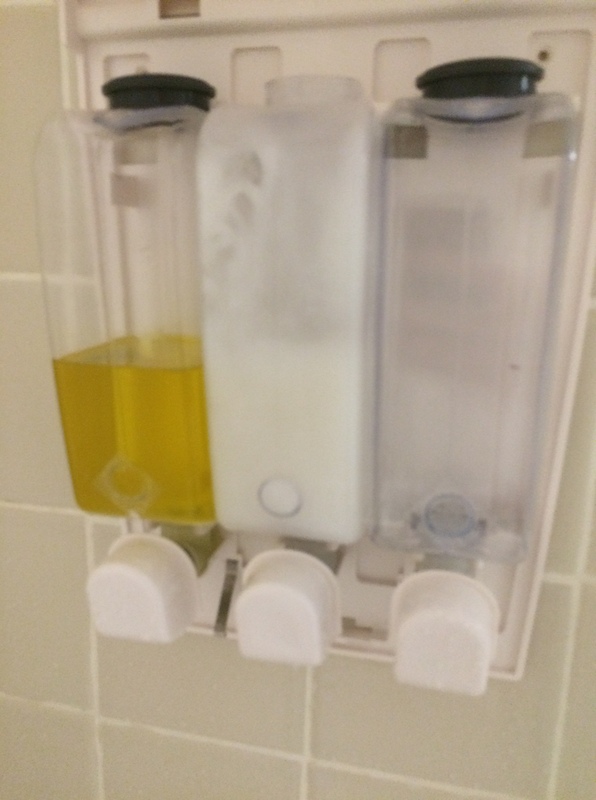 The room had a three-spigot liquid dispenser on the wall, which I’ve seen in other resorts: shampoo, conditioner, soap. The problem? 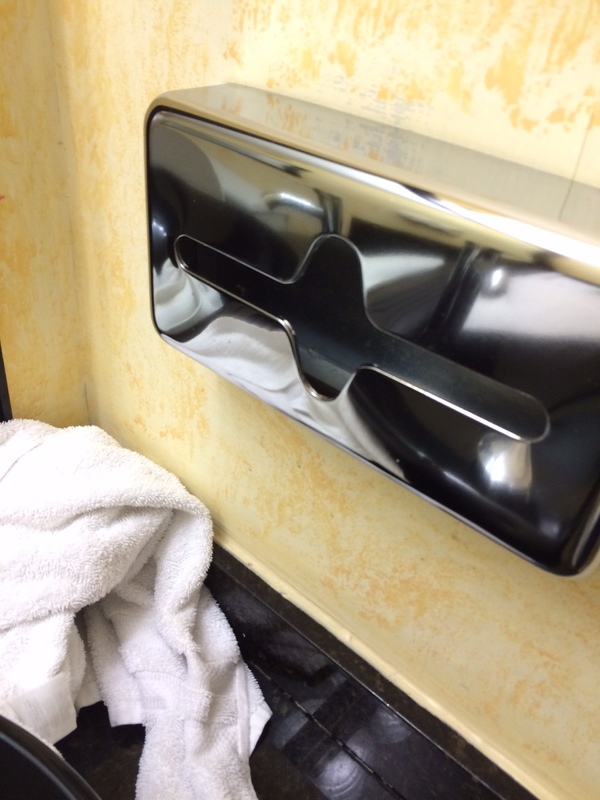 No soap. Zip, zero, zilch. Okay, so I washed myself with shampoo that day and probably smelled more minty-fresh than usual. I dropped by the front desk before I left to verify that I didn’t have any room charges. The front desk host, a bit surly, informed me that since I booked through Expedia, there was no receipt. The attitude from the host decided things for me: I was not going to bother with the hotel’s breakfast area. These people obviously didn’t give a damn. You might be wondering why I haven’t mentioned the name of this resort. Part of it is that I didn’t complain while I was there. Part of it is that I realized any complaint really wouldn’t make a difference. Some places are beyond fixing. I wondered briefly as I drive away how businesses get so bad. It isn’t something that happens overnight. It might not even be the result of a single dramatic event. However, slowly, bit by bit, some businesses lose their mission, their motivation, and their ability to sustain themselves. Such was the case of that hotel. I won’t go back. I won’t give them the benefit of the doubt that they were just “having a bad day.” If I had had to stay longer than one night, I would’ve paid for an upgrade to some chain hotel with a decent reputation out of my own pocket and considered it money well spent. But seriously: if you work in such a place–or own such a place–what the hell are you thinking about? How do you live with yourself? Life is too short to do a half-@$$ed job. Next postWhat’s the Most Important Fact You Heard in That Meeting?